The Best Pumpkin Bread. Ever. Seriously, I mean it. This is, without a doubt, the best pumpkin bread I’ve ever made – or eaten. Ever. It’s deliciously moist and awesomely spiced without being overly sweet. This exquisite bread was adapted from Alton Brown’s recipe. 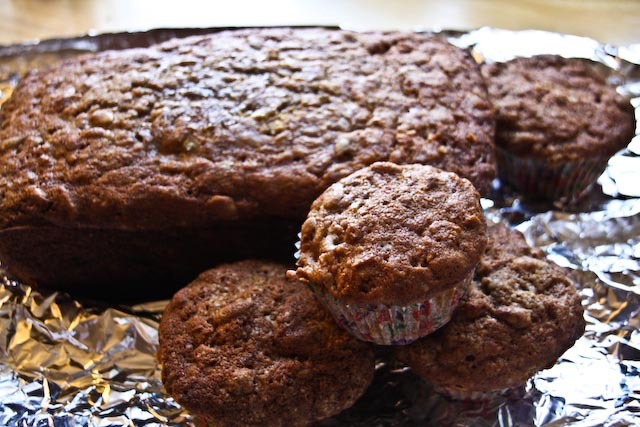 I had extra shaved pumpkin – which I shaved from the inside of the pumpkins that I bought for carving this Halloween – so I doubled the recipe, and had enough leftover to make a few muffins as well. The muffins don’t take quite as long to cook, so be sure to check them often to avoid burning. Burnt muffins make me sad. I also replaced the vegetable oil with an equal amount of unsalted butter. As it turns out, butter and oil aren’t exactly a one for one exchange. I had to add a few more tablespoons of oil to the mixture in order to get a batter with the appropriate texture. I added a few additional spices to the mix as well. This is purely a personal preference, but I absolutely love spiced cookies, muffins and breads, so the more flavor the better! I used allspice, nutmeg, and cloves in addition to the cinnamon that the recipe called for. Preheat the oven to 325°F. Combine the flour, cinnamon, allspice, nutmeg, cloves, baking soda, baking powder, and salt together. In a separate bowl, using an electric mixer (or wooden spoon) mix the sugar, vegetable oil, eggs, and vanilla. Combine both mixtures and fold in the shredded pumpkin and toasted pumpkin seeds. Once the ingredients are all incorporated pour into a non- stick loaf pan. If your pan is not non- stick coat it with butter or cooking spray. Fill the pan with batter about 1/2 inch from the top to avoid over filling. 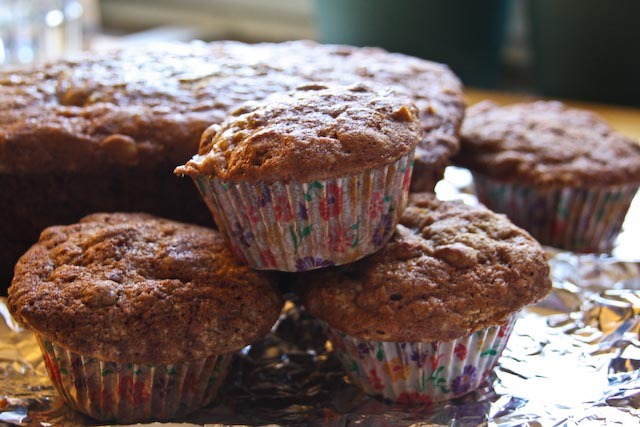 If you are making muffins, line the tin with muffin cups and fill each about 3/4 full. Bake for 1 hour and 15 minutes or until a knife or toothpick inserted into the middle of the loaf should come out clean. Cool for 15 minutes and turn out onto a cooling rack. 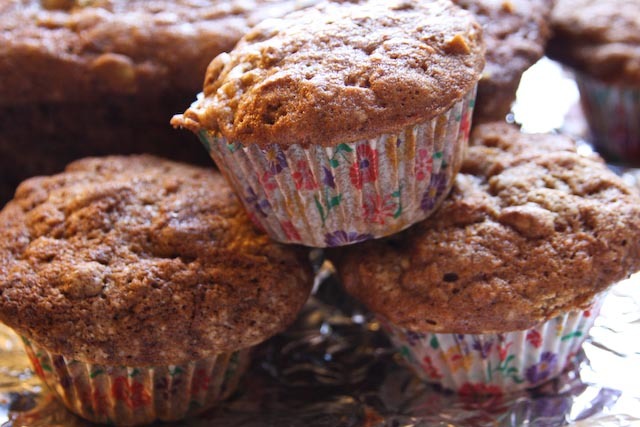 Muffins should bake for about 30 minutes. Yummy!!! These are on my weekend to do list : ) I love anything pumpkin!! !